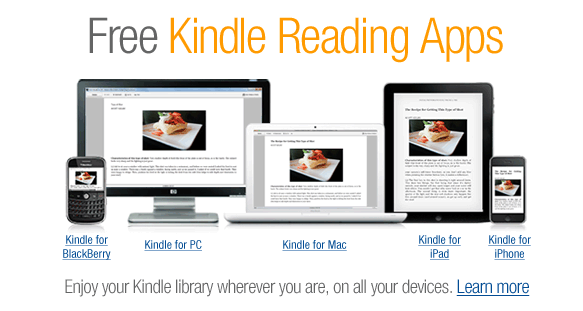 If you get by Amazon much, you will be reminded that the Amazon Kindle eBook reader is still available for free. It runs on the iPad quite well actually. Many people where fence sitting on the iPad since they owned a Kindle and didn’t want to loose their purchases, was concerned about reading on a back lit screen or what the UI would be like. The Kindle eBook reader on the iPad works well enough that several friends made the purchase after playing with mine… time will tell if they now jump to the iBooks purchasing path or stick with Kindle. For now, they have all of their Kindle purchases and can buy more if they like to stick to Amazon’s collection. The backlighting is adjustable for books – this will really come down to personal eye strain, everyone is different.